With seasonal celebrations in full swing, are you looking for unique recipes to make your holiday party memorable? How about adding some local flare to your lineup? Our Resident Chef Jonathan Goodyear appeared on Global Morning today and plated a few tasty dishes using Ontario corn, soy and wheat. Host Kris Reyes drooled over Chef Jonathan’s Grilled Korean Short Rib Marinade, a sure-fire crowd pleaser. Did you know about one quarter of products found in your grocery store use field corn in some form during production or processing? 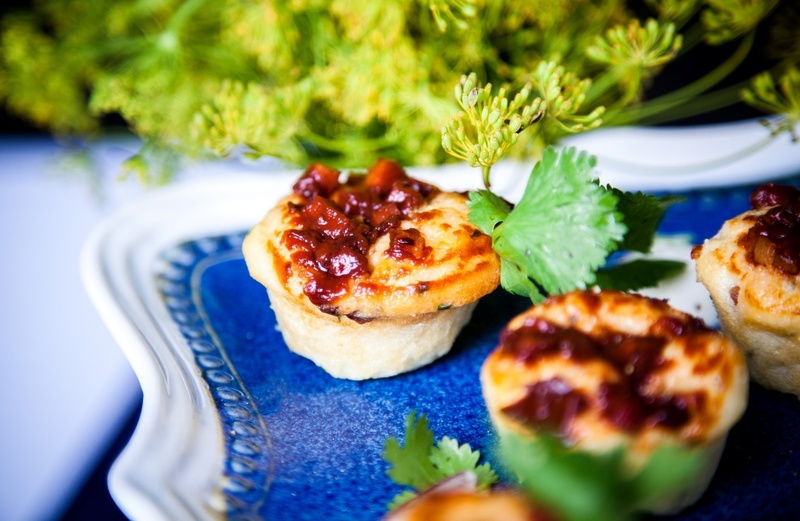 If you’re looking to step outside the box with your entertaining this season try one of these delicious recipes, they are sure to impress! The time for holidays parties is quickly approaching. Are you ready? To help Toronto prepare, our Resident Chef Jonathan Goodyear appeared on Daytime Toronto Friday and served up gourmet appetizers using grains. Val Cole, the host, was delighted with his savoury Slow Braised Canadian Corn Fed Beef with Creamy Polenta and Smoked Blue Benedictine, using Ontario field corn. Did you know field corn is grown on 51 per cent of Ontario’s cropland each year? Try dishing up these recipes at your next holiday party or potluck and be sure to let us know what you think. 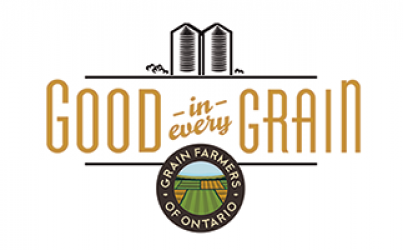 On November 3rd, Grain Farmers of Ontario Resident Chef Jonathan Goodyear took to the stage at the new Growing Connections exhibit and showed an attentive audience how to make delicious recipes with grains. Chef Jonathan is honored to be the Resident Chef of Grain Farmers of Ontario and enjoys preparing unique recipes featuring Ontario corn, soybeans and wheat. Chef Jonathan prepared three recipes at the Kitchen Stage at Grain Farmers of Ontario’s new booth throughout the day, including Avery Island Salad, Pulled Autumn Chicken Soup with Plump Ontario Grains and Vegetables, and Gluten Free Adobo and Maple Bacon Stuffed Cornbread. He was also a guest judge for the finale of the Royal Chef Challenge, where chefs went head-to-head to create tasty dishes using a secret ingredient revealed on stage. 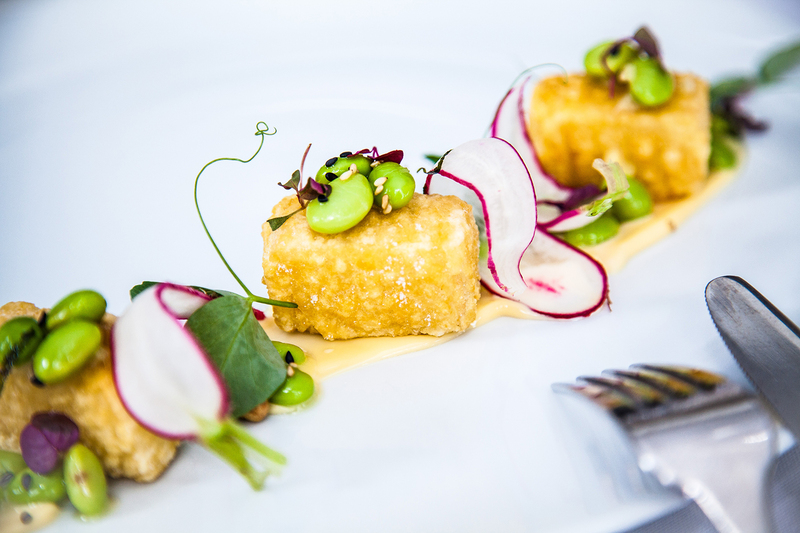 This year the secret ingredient was tofu, which was revealed to Chef Justin Downes, Executive Chef at Vineland Estates Winery and Chef Bryan Simmons of Chatterpaul’s just before the semi-finals began. Both chefs prepared a variety of dishes to be judged by Chef Jonathan, Ontario Minister of Tourism, Culture and Sport Michael Chan, and food writer Mary Luz Mejia. After careful tasting and deliberation, Chef Jonathan and the other judges declared Chef Justin Downes the semi-final winner, who went on to finish second overall at the finale held on November 10. Chef Jonathan’s custom grain recipes created for Grain Farmers of Ontario were available at the Growing Connections exhibit during the Royal Agricultural Winter Fair. 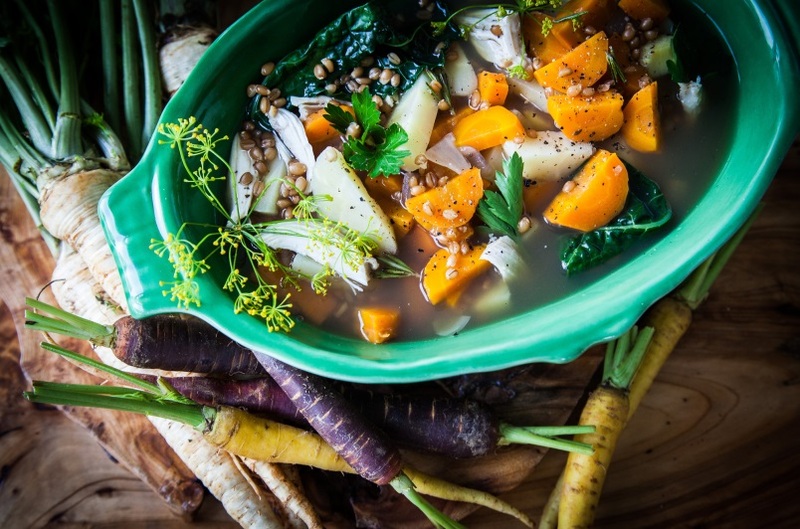 Find them under the ‘Recipes’ tab on the Good in Every Grain website. The Grain Discovery Zone from the Grain Farmers of Ontario has made its way across the province this year to many fairs and tradeshows with the goal of educating people about Ontario grains. The Royal Agricultural Winter Fair is the biggest and last stop for the Discovery Zone and is the perfect place to launch our biggest interactive exhibit yet. This year, the Grain Farmers of Ontario is set to unveil “Growing Connections”, a 53’ trailer featuring four fold-out stages. 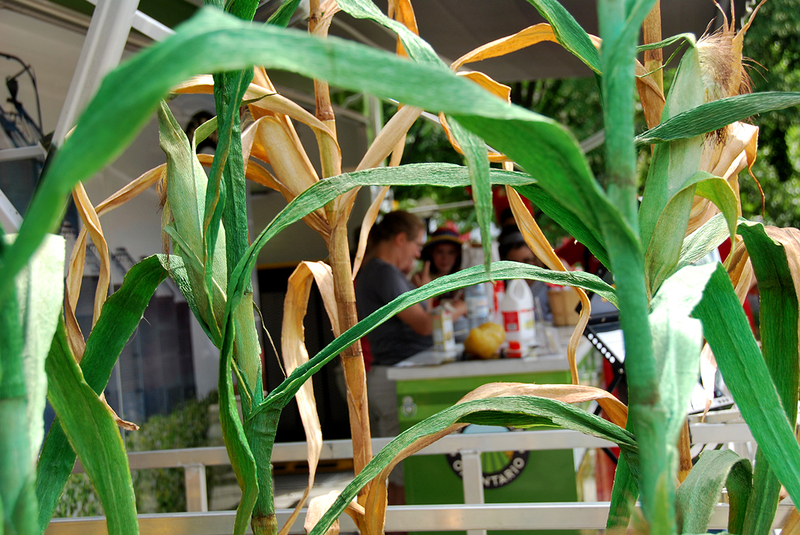 The Kitchen stage features appearances by Resident Chef Jonathan Goodyear and the Crop stage has faux corn, soybean, and wheat plots. A fully enclosed theatre for farming videos and a video gaming stage with interactive, high-tech grain games round out the sustainable grain farming themed exhibit. This 1200 square foot family-friendly exhibit can be seen for the first time at the Grain Farmers of Ontario exhibit at the Royal Agricultural Winter Fair from November 1-10. From field to fork to fuel, there’s something for everyone at the Growing Connections display, and we’d love for you to check it out! The Grain Discovery Zone display can be found in Ag-Tivity Central. Other great interactive displays for the whole family at the Royal include the aMAZEing food journey, Royal Education Centres, and the President’s Choice Animal Theatre. For more details on the new Grain Farmers of Ontario exhibit, visit www.gfo.ca. For more information on the Royal Agricultural Winter Fair, visit www.royalfair.org. Grain Farmers of Ontario’s Resident Chef Jonathan Goodyear brought ideas for tasty grain-based after school treats to Hamilton’s CHCH TV’s Morning Live viewers yesterday. Chef Jonathan used Ontario dent corn and soy oil to add a delicious twist to mini cornbread muffins and tostadas with avocado dip. Chef Jonathan also told viewers that corn syrup, made from dent corn, is a natural sweeter and great alternative to sugar. Keep an eye out for more of Chef Jonathan’s grain creations that we’ll post throughout the year. Fast farm fact: Did you know? Only 2 per cent of Ontario corn is actually sweet corn, which we eat as corn on the cob. 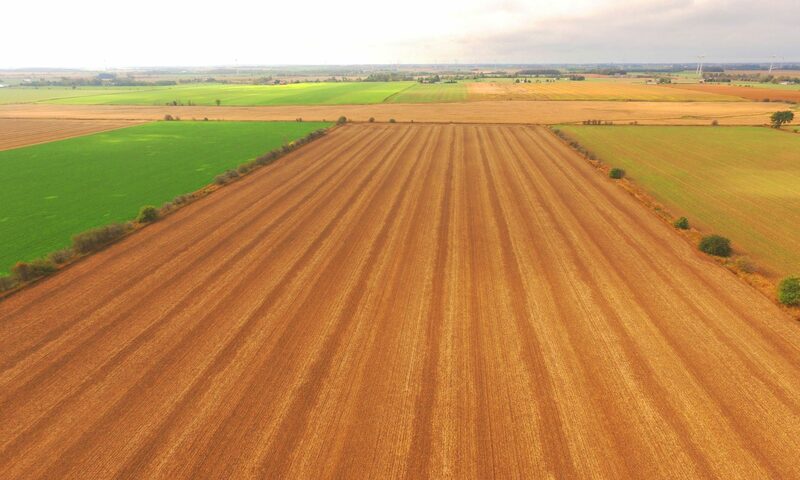 Most of the corn stalks you see in Ontario’s countryside are actually dent corn, which is used for products like corn starch, corn flakes and corn meal. Want to see Jonathan whip up these recipes? Watch his segment here. Keep reading below for the recipes featured in this segment, Gluten Free Adobo and Maple Bacon Stuffed Cornbread and Whipped Avocado and Cilantro Puree with Roasted Corn Tostadas, both great and easy recipes for back to school!